Carroll's Country Christmas Trees has a long-established tradition of giving back to local communities. Ask us about school field trips, promotional discounts for your business, or donations to your charity. For several years the First Baptist Church high school team has worked at Carroll’s Country Christmas Trees raising money for the spring break mission to Mexicalli Valley. They are eager and anxious to help every customer as needed. They truly reveal the Christmas spirit with their willing and helpful hands, and smiling faces! Customers also have the opportunity to add to the tip jar where 100% of the proceeds are applied to their mission expenses. 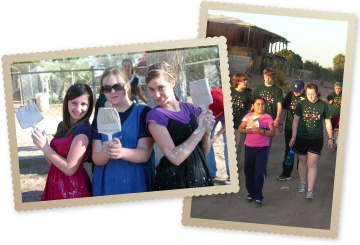 Some of their mission accomplishments over the past 20 years include construction of homes for pastors, medical clinics, teaching Vacation Bible Schools, and painting. Since 1986, we have provided trees to Hawaii for fundraising projects and retail outlets. We have an extensive list of churches, public and private schools that have raised money for worthwhile projects. 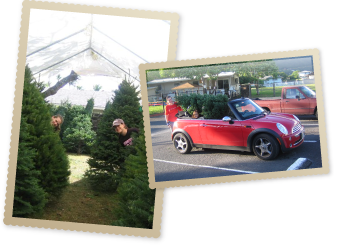 We help to make tree sales both fun and profitable for the service minded volunteers. If you would like more information on how your group can benefit from tree sales please contact us. We are closed for the Season - Merry Christmas! See you in 2019!